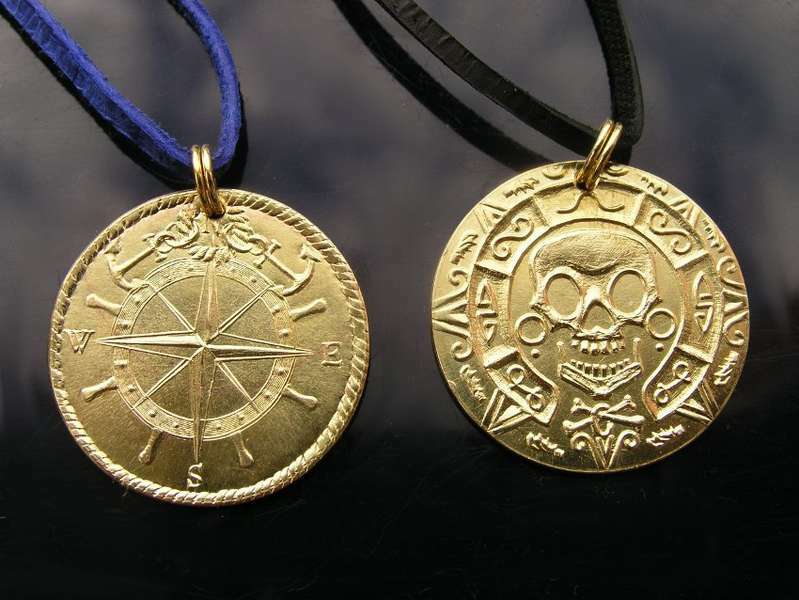 Pendant in the style of Pirates of the Caribbean, minted in brass your own design from hand-engraved dies. 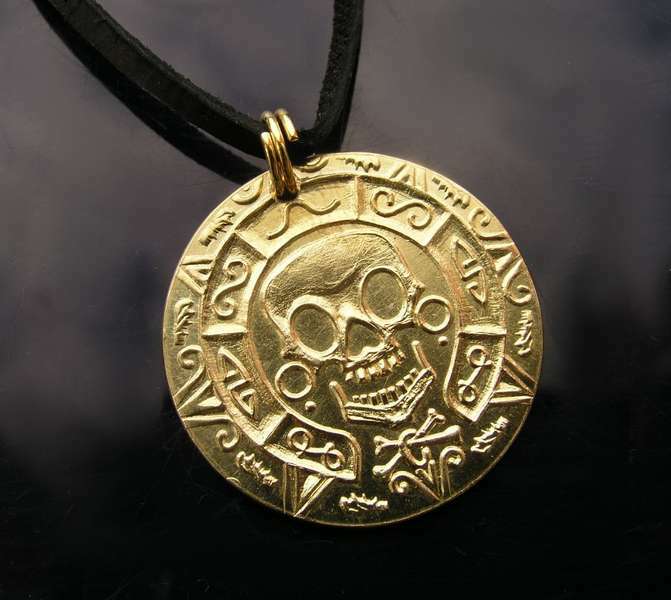 On the other side is stamped world rosette. Diameter 26 mm, thickness 1 mm, uncoated, passing through the ring is black or blue leather strap.